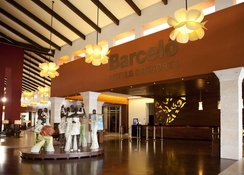 Barcelo Bavaro Palace Deluxe Hotel is nestled on the Bavaro Beach in the Dominican Republic’s Punta Cana Region. 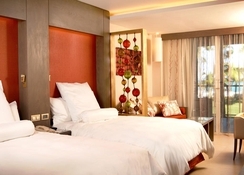 The hotel features 1.2m of private beach area and a stunning coral reef. This recently renovated adult-only resort is located on one of the 10 most beautiful beaches in the world. 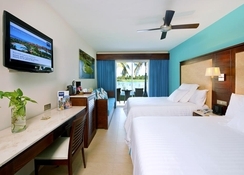 An ideal romantic getaway, Barcelo Bavaro Palace Deluxe has lovely sea views, swimming pools and lots of sports options. 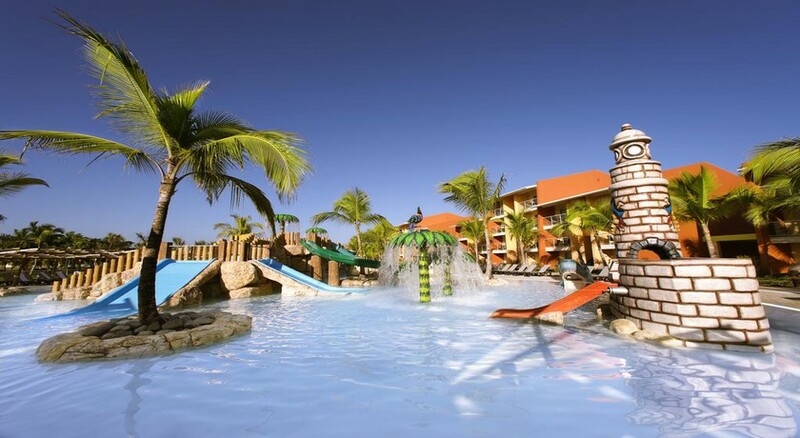 This one is a great choice for travelers interested in excursions, water sports and night life. The Barceló Bávaro Palace hotel is the proud recipient of the Green Globe Certification award for its sustainable tourism practices since two years. The hotel is located opposite a gorgeous private beach. 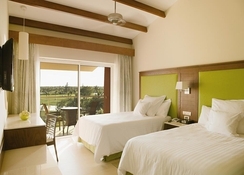 Guests can reach the hotel via the Punta Cana International Airport, which is 17km from here. The Santo Domingo, which is a UNESCO World Heritage Site is 207km from the property. 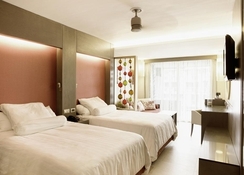 The 589 guestrooms have modern comforts and amenities planned for adults only as well as an iPod docking station and a flat-screen TV. They also have a spa bath, mini-bar and a spa bath. The rooms have a balcony with stunning sea views. The all-inclusive program includes breakfast, lunch and dinner here. Guests can sample various international delicacies at any of the 12 restaurants here. The dining options include Italina, Mexican and French cuisines. The popular options are the buffet at the Aribe buffet, gourmet cuisines at the two Chex Gourmet specialty restaurants and Mediterranean cuisines at the La Brisa. 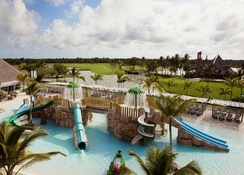 Guests can visit the 24-hour casino and the 18-hole golf course at the property. The world-renowned spa offers pampering treatments and massages. There is a gym where those willing to stay active can work out. Guests can also access the train transport to go around the property. The hotel staff arranges lively entertainment programs.